For those who don't know: The Snowager is a monstrous worm made completely out of ice who resides in his own personal cave in the Ice Caves in Terror Mountain. He hoards his gargantuan pile of treasures (that include weapons, snowballs, plushies, keyrings, scratchcards, and neggs) from all neopets. You can occasionally steal something from him during one of the three hours a day he is asleep, but it's usually only a cheap plushie or snowball. I was taking my daily stroll through Happy Valley (it is the jolliest place in all of Neopia, after all). 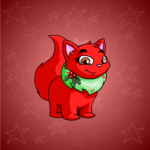 I picked up a slushie and went to Wintry Petpets to play and look at all of the cute little petpets the shop keeper had. Behind the desk the shop keeper was reading the Terror Mountain Times. "Blasted Snowager," he muttered, "put another Neopet in the Neopia Central Hospital." I leaned over the counter to get a look at his paper, but he jerked back. "Chia, are you ever going to buy something? Stop wondering in here and sticking your nose in Terror Mountain business." I leaned back. "I already have a petpet, Mr. Wintry. I just want to know more about the Snowager. I thought he was a myth." Mr. Wintry laughed, but it wasn't jolly as it usually was; it was mocking. "A myth? Why, Chia my boy, he's no myth. Take a look yourself." Mr. Wintry handed me the newspaper. The headline read "The Snowager Blasts Again". "Early yesterday evening one of our reporters, Amy Acara was blasted by the Snowager in an attempt to take a photograph of the beast and get an interview to answer the ever present question of 'Why won't the Snowager share his hoard?'" it read. "She is now in intensive care at the Neopia Central Hospital. We advise that you do not approach the Snowager, even while he is asleep. He is extremely dangerous." The article went on, but I had read enough. My reading of that newspaper article was the start of an obsession; an obsession to get the truth about the Snowager and find out how we neopets can get back what we deserve. The next day, I was taking my stroll through Happy Valley when I felt an extra chilly gust of wind pass through my fur. I turned around to the direction in which the wind had come from. It had come from the Ice Caves. I'd never been in there before because my owner warned me of slippery slopes and jagged pieces of ice. I remembered what I had read yesterday about the Snowager. I'd never seen him, not even a picture in the Neopian Times. He was hurting neopets, and, according to legend and some neopets, had a grand pile of treasure. People tried to steal his treasure all the time, but I had never heard of anyone actually doing it. 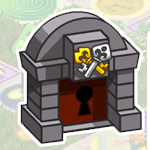 Maybe I could be the first neopet to get a piece of his treasure! Or I could confront him on his disastrous ways. I knew my owner would disapprove, so I scrambled up the mountain as fast as I could into the Ice Caves. Standing at the opening of the cave, I was amazed at the sight. Everything was carved out of crystal-like ice. It was beautiful. I started walking down the path until I came to the opening of another cave. There was a rotting wooden sign with the words "Turn Back!" painted on it. I had come too far to turn back now. I walked into the cave with my head held high and wound up in a chamber filled with glorious things. On top of those things, slept the Snowager. He was bigger than I thought he would be. Actually, he was massive. I guessed that the Snowager could swallow a crowd of neopets whole. Suddenly I was scared. Should I wake him and ask what his problem is? Should I take some treasure and run? I spied a jeweled negg at the top of the pile, one of the rarest and most expensive neggs there is. I cautiously climbed up the pile and reached for the negg. The Snowager groaned and rolled over, nearly onto my hand. That was enough to get me out of there! I ran out of the cave panting hard. Now that I had seen the beast, I was determined to learn everything about him. Why doesn't the Snowager ever share his hoard of treasures? He spends all day protecting his treasure or sleeping. We all know he never leaves his cave, so he must not have any friends. If the Snowager would just share he'd be one of the most loved creatures in all of Neopia! Now, don't get me wrong, I don't know the Snowager personally (who does? 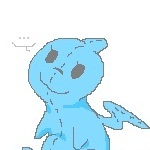 ), but he might actually be a nice guy (If you can get past his hollow threats to eat neopets). Maybe he does have friends. I don't think the Snowager's behavior is his entire fault. We could also blame those pesky Snow Aishas Gradolf, Kendak, and Keblin because they were the ones who woke him up from his... hibernation, you can call it. Kendak and Keblin were the first ones who believed the legend of the Snowager and went to pursue his treasure. Without them, the Snowager may have woken up after his long nap, been in such a good mood that he would have given out his treasures to neopets everywhere. Or maybe he's just a mean ice worm-thing whose only friends are the millions of plushies he sleeps on. I don't blame any neopets who try to steal his treasure. I myself am guilty of attempting to steal the Snowager's treasures. Although we all know stealing is wrong, coming up to that massive pile of treasures is too tempting. I do feel bad stealing from him when he's asleep, but it serves him right for keeping us neopets from scratchcards, keyrings, plushies, neggs, weapons, and snowballs. Some of us can't afford the luxury of those things. I've also been the victim of the Snowager's icy blast. It stings and hurts and gets rid of at least half my hit points. Now, I get mad too if one of my friends or my owner wakes me up, but I don't hurt them for it. 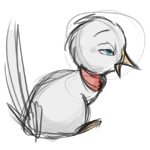 The Snowager is rude and short-tempered. If he would just talk to the neopets who try and steal his treasure, there would be a lot less problems on both sides. I have determined that the Snowager is stubborn and selfish. He is not willing to share his luxuries with us less fortunate neopets, no matter what our pleas. Now, I have some advice for those who REALLY want a part of the Snowager's treasure. I've been studying him for a long time and I've noticed that he is a creature of habit. Every day the Snowager sleeps at certain times. Now, there was a month back in Year 12 that the Snowager slept for the entire month of December, but other than that the Snowager's sleep patterns have been consistent with my research. It bothers me that the Snowager sleeps in one hour intervals and only three hours a day. I think it's because he's paranoid about people stealing his treasure. No wonder he's always so grumpy. WHY MISS PUMPKIN NICKEL, WHHYYY??? It's alright, Tig, I'm sure you're not the only one.